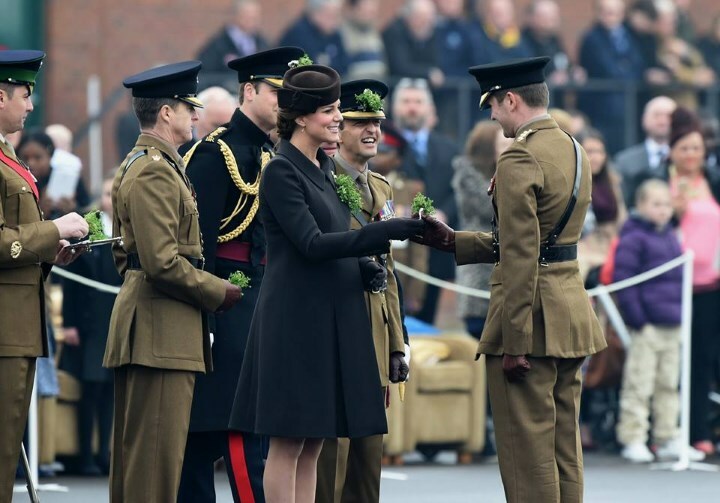 The Duke and Duchess of Cambridge visited the 1st Battalion Irish Guards for the annual St. Patrick's Day Parade at Mons Barracks, Aldershot today. The couple looked relaxed upon arrival, fresh from a weekend in Bucklebury with the Middletons where they celebrated Mother's Day. We expect Prince George and William had a special gift or two for Kate, and of course it was undoubtedly important for the Duchess to enjoy the day with her own mother Carole. The group were spotted at a local play centre in the area where they built sandcastles with George. The Duke joined his wife in his role as colonel of the regiment, which he was made in May 2011; it was his first honorary position in the army. Her Majesty the Queen is Colonel in Chief of the regiment. As you all remember, the Prince opted to wear the Irish Guards tunic for the royal wedding. Two hundred soldiers marched on to the Parade Square at the barracks wearing full ceremonial uniform of scarlet tunics and bearskins. Her Royal Highness then presented the shamrock to officers and warrant officers who in turn issued it along the ranks. 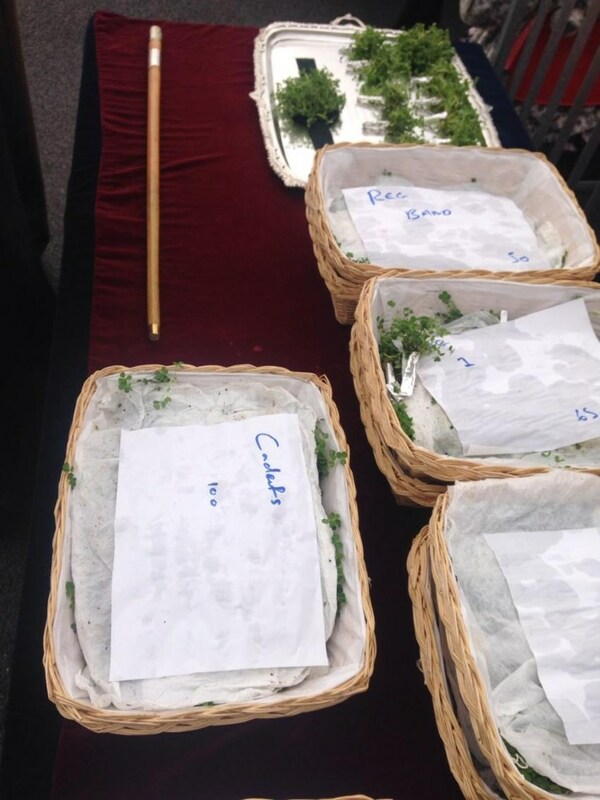 Simon Perry shared a photo of the shamrock sprigs. 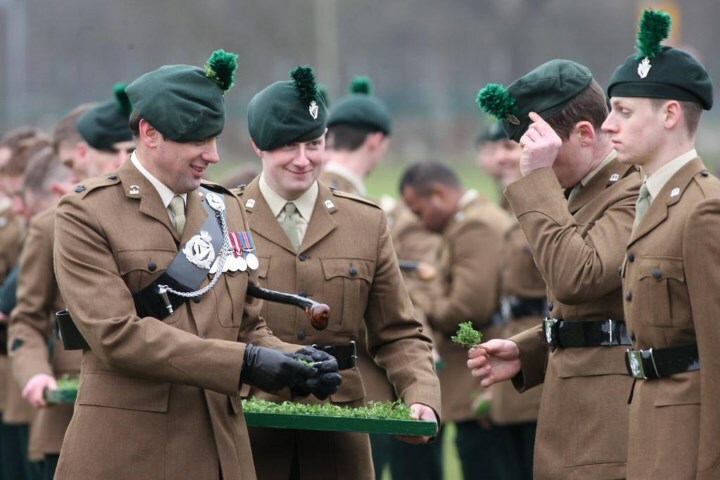 Kensington Palace tweeted 'The shamrock the Irish Guards receive is tucked behind the Cap Star on the forage cap'. The tradition has become synonymous with a number of royals since, most notably the Queen Mother, who had a long affiliation and love for the Irish Guards after attending the the annual military parade for the first time in 1927. It wasn't until 1964 she started to present the Royal Shamrock to the Battalion, describing it as a "great pleasure which has enabled me to forge a link with the regiment I greatly cherish." The regiment supplied the pallbearers for her funeral in 2002. It is very much becoming a tradition associated with the Duchess of Cambridge in recent times. Today marks the fourth consecutive year Kate has presented shamrock at the parade, and it's a tradition we'll see continue - possibly for decades to come. Below we see Kate in 2012 and 2013 in an Emilia Wickstead coat, and last year wearing the Hobbs Persephone trench. Soldiers of 1st Battalion were in celebratory form today. 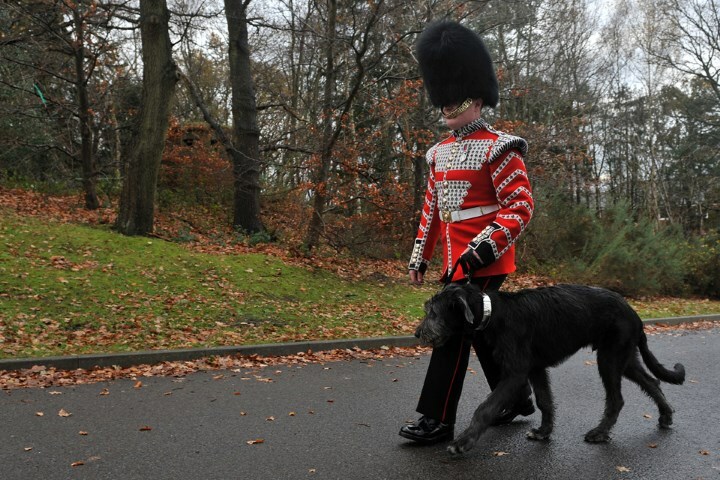 It's always a treat to see the ever-adorable Domhnall, the regimental mascot. It's his third year taking part in the ceremonies. 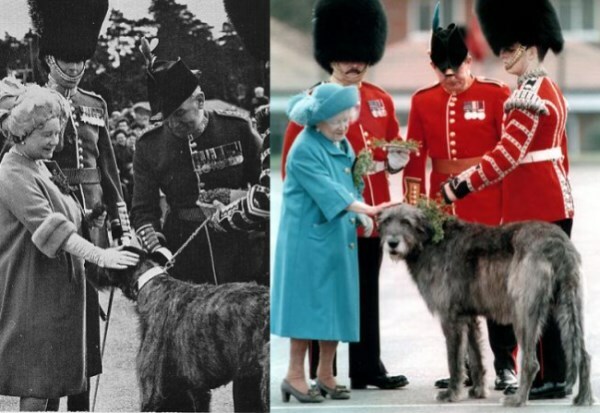 Below we see the Irish wolfhound with his handler, Drummer David Steed. 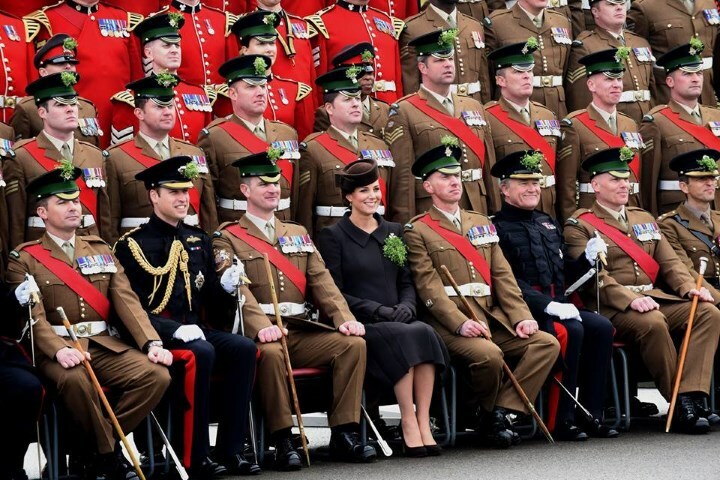 The Duke and Duchess met members of the regiment before sitting for officers' and sergeants’ mess photographs. William and Kate visited a marquee where all-ranks were gathered. The longest serving guardsman in the battalion proposed a toast to the Duke and Duchess and thanked Kate for presenting the shamrock. Jeanne Duncan-Dolcy was delighted when the Duchess complimented her on the colour of her coat. In surprising news, Kate selected a bespoke brown (yes brown) coat by Catherine Walker today. It's a beautiful garment and the silhouette works very well for the Duchess at this stage of her pregnancy, though I would have preferred green for the nature of the occasion and sartorially speaking. It's the first year Kate hasn't opted for green at this engagement. Kate wore a brown dress underneath. 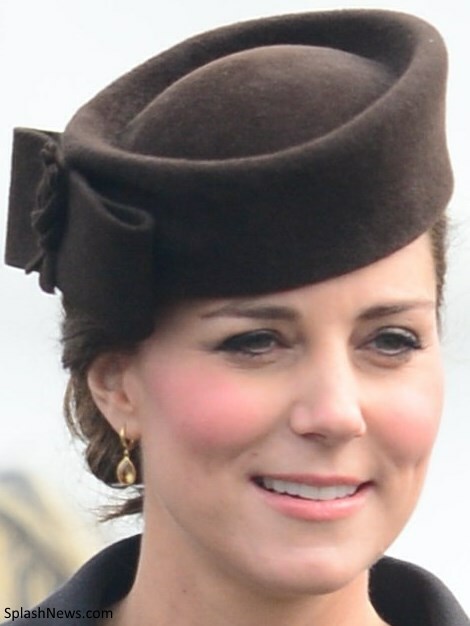 And wore her much loved £245 'Betty Boop' Beret by Lock & Co. It was complimented by Kate's elegant updo. The Duchess wore her brown suede Emmy Shoes Valerie pumps and carried the matching clutch. And accessorised with her Kiki McDonough Citrine Drop Earrings. 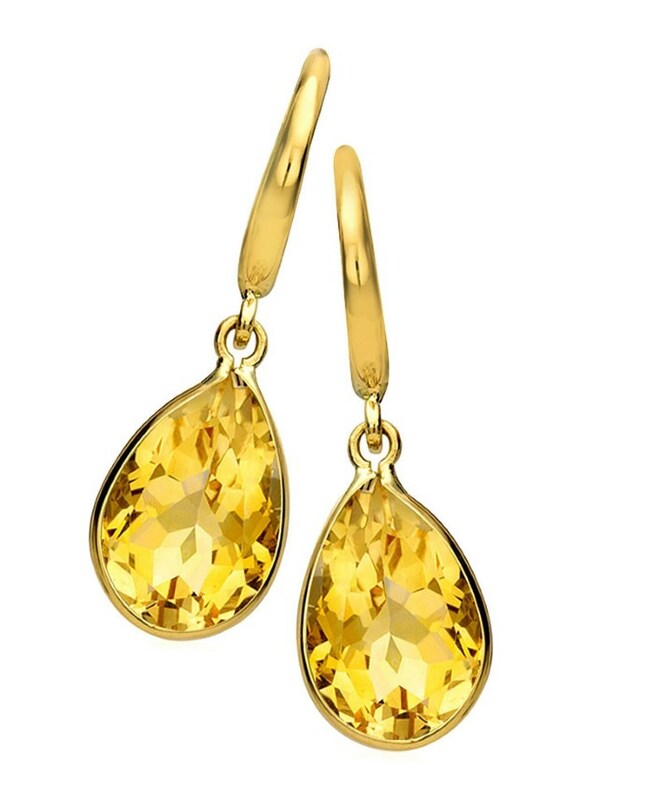 The 18K gold citrine pear-drop earrings are available at Neiman Marcus for $740. 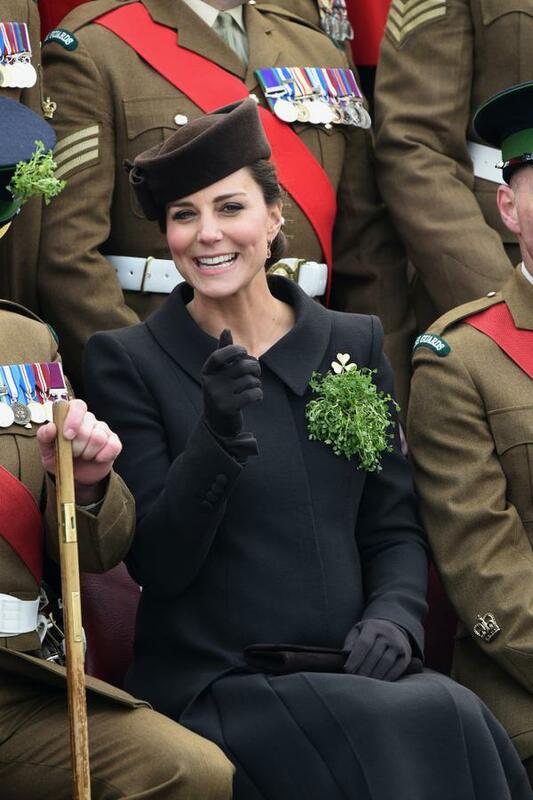 Once again, the Duchess wore the Irish Guards gold shamrock brooch this year. The three-leaf brooch which has been worn by the Queen Mother and Princess Anne, belongs to the regiment and they determine to whom it be loaned. 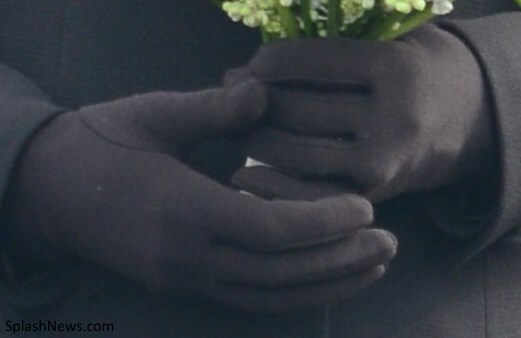 Kate completed the look with a pair of brown gloves. You can watch a video at You Tube. There's a cute moment where Domnhnall's shamrock falls off. We'll see you tomorrow for Kate's engagement at Brookhill Children's Centre. Love this coat--but on my computer it looks like a very dark green. Catherine always looks lovely, but on the last few engagements have been some of her very best.. I agree. If she really is having Carole pick out her outfits, she should hire her full time. You may be right about the colour of Catherine's coat, Jean. It appears to be brown in some photos, but in others (especially when she is seated with the regiment), the coat does not seem to have the same brown tones as her lovely hat or the tan/khaki shade of the military uniforms. Regardless of the colour, the coat was beautifully designed and executed. Very smart. Whether or not it's green, I agree, it's very nice. The shamrocks pop nicely against the brownish shade, too. Funnily enough on my computer- it almost looked navy in some pictures! When Charlotte wrote brown, I had to look again. Regardless, she looked beautiful and like the other Jennifer (hello) said below, she doesn't even look pregnant to me in some of the photos! I agree with bluhare too, if it is Carole, then keep those outfits coming- she is looking fantastic and like the duchess she is. Catherine Walker confirmed that it is brown. Great Post! Kate has a military look about her, that's for sure but why no green! Especially with off the green coats she owns, its a little surprising she isn't wearing the color. She looks nice though, some may say a little to matchy with all of the brown. Hooray for wearing her hair up again - it looks lovely! The whole outfit is very elegant. The brown is very appropriate, in my humble opinion, as it is an ode to the brown uniforms of the Irish soldiers today! I agree. 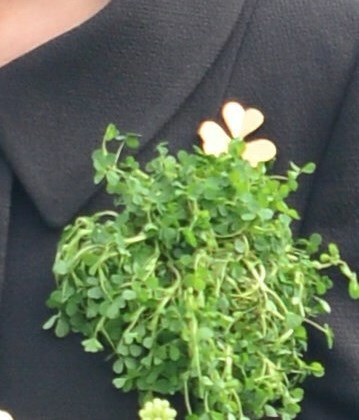 Also, the outfit showed off the shamrocks so beautifully. Gorgeous, as always! Maybe it's a very dark oil green... anyway, the fit is one if the best ever for me. Love the shoulders, so elegant. Perfectly tailored. And yay for the hat! One of my favourite and protagonist of her first St.Patrick - the best look of the four in my opinion. I agree. I love everything about this look. Pure elegance and sophistication. I don't like the brown either. I think Kate has another brown coat? Anyway for me its a must wearing green on St Patrick's Day. The style and cut is lovely but would prefer it in an emerald green. The Duchess looks lovely! Brown has always been a great color for her. I especially love that hat. And the earrings are beautiful. The dress fits well, and was a nice choice for this occasion. I don't think everyone has to wear green on St. Pat's Day. I agree with you, Anonymous! She looks lovely and I thought the coat and hat were a beautiful ensemble that highlights the green Shamrocks and gold brooch just right. Agree, agree, agree! She is such a beautiful woman and right now she is just glowing. Loved everything about today's ensemble. I think she looks wonderful! On another note: I know there is no Prince Harry blog but did anyone else find his news this morning very interesting ?! Leaving the army and saying that his life is at a cross roads. *raises eyebrows* I wonder whats up. Since he said he has reached a crossroads in his military life, I think Harry meant that he has decided against continuing the desk jobs he would be assigned to now. He prefers a more active life and role, and his immediate plans sound very interesting. I hope Harry will lead a happy and useful life, and avoid the pitfalls and mistakes that have dogged Princess Margaret and Prince Andrew. Perhaps whilst he's in Australia or New Zealand he might meet a nice young lady! I read his letter and think he might have actually wrote it himself, which I appreciate. The cross roads I think is more of a "I'm thirty, I need to settle down, and really evaluate what direction he wants to go in"
Jean, from your keyboard to............... :)) I hope so. I love this look. I really like the all one color looks she has sported lately. Me too. I think that we have been told by designers (read manipulative marketing that sends us out into the shops for a new something-or-other that 'pops' for too many years). There is something restful about a look that is integrated in this way. I don't have a quarrel with the anti matchy-matchy point of view, but let's recognize it for what it is. Then let's go our own way and mix it up on the continuum between the extremes. I think she looks incredibly relaxed an beautiful today. On some days lately the very normal fatigue of a woman who has two homes to manage & shuttle between, a toddler, multiple engagements, who rocks ot all in heels during her 8th month has shown on her face. No objection to that. Just the observation and some empathy. (She's not an actress, but a person.) Thank heaven she has her mother and father to turn to. What might Diana's life have been with that much family support and an adoring husband? It gives one pause. But we are dealt what we're dealt and we choose what we choose. Thanks Philly, beautifully put-- I agreed wholeheartedly. Love the hair up, not a fan of the all brown ensamble. The hat is a different shade from the coat, which is a different shade from the gloves...Just no! I'm usually a fan of her monochromatic looks for the visual impact but this is a lot of brown. Perhaps a brighter colored hat and shoes, or dress would have changed the dullness of this look. On the other hand, the coat is beautifully designed. I especially like the shoulders and neckline, and I am a big fan of the Betty Boop. Extremely disappointed with Kate's look today - it's St Patrick's Day! If the coat is bespoke, why didn't she get it made in green? Or maybe just worn something to brighten the outfit up? I usually like her in brown, but this shade of brown with the hat is just too much. I think if she would've worn the coat on its own to another engagement it would be ok.
Love the hair and coat. Great to see her looking so relaxed, confident and enjoying the occasion. I love this ensemble especially with her hairstyle she has. I think this is one of my fav coats of her in her because it accentuates her neckline so well. Love it head to toe and don't care if she chose something other than green. She is truly inspirational for remaining in such good shape despite being pregnant! Wow! I love her whole look (hair, hat) today except for the coat, it suits her body very well but somehow it is nothing special, maybe in a different colour it wold have been better. I wonder whether they released a photo of of George last year for Mother's day? Can we expect anything like that or I am totally wrong? Thanks for being so quick and informative. Oh, so drab and dull. Would have loved something more festive, striking and colorful! Not a fan at all of this look. Happy St Patrick's day from Ireland, not sure if last post went through, This is a very neat coat on Kate but I think she should have worn green as she is celebrating our special day. Love the blog, Sinead. Love the chocolate ensemble--really shows off the vivid green shamrock corsage and bouquet, and looks very appropriate. Kate looks wonderful. I think it's a bit too much brown in one look, but she looks absolutely gorgeous. She hardly looks pregnant, I almost forgot she was! Absolutely stunning, she is really glowing! What a splendid coat. Having followed her fashions for several years now, I really think that she has carried off both of her pregnancies exceptionally well. She looks so at ease and so beautiful! I happen to love a rich brown, which this coat is. I also love the style of the coat - very clever! Kate looks beautiful. I didn't even realize her hair was up until someone mentioned it in the comments - shame on me! I'm not much of a fan of her long hair except I love it when it's up, so to not even notice- !! Both Kate and William look very regal. They are ready for their future duties. Yay, the Betty Boop hat! It's my favorite! I think she looks good today. At first I thought it would have been better if she wore green, but she does that every year. I think the shamrock looks striking against the brown coat. I want her to start expanding her eye make-up color choices.Some browns would really make her eye color pop. I wish she would have worn lip gloss. Such a beautiful look for our Duchess. I hate brown for myself and never wear it, but on her it looks wonderful. I can't get over the first two pictures above - she doesn't look pregnant at all! I don't think it is incumbent on her to wear green, if she did that, all of the pictures of her on St. Patrick's Day would look the same. This is a great option and one that suits her very well. While I like the idea of wearing green, we can see from the photographs that the Queen Mother did not wear green for this occasion in the past, so there is really nothing wrong with Catherine wearing brown this year. And it is a beautiful shade and style that she wears today. Thank you for your usual excellent coverage of this event, Charlotte. 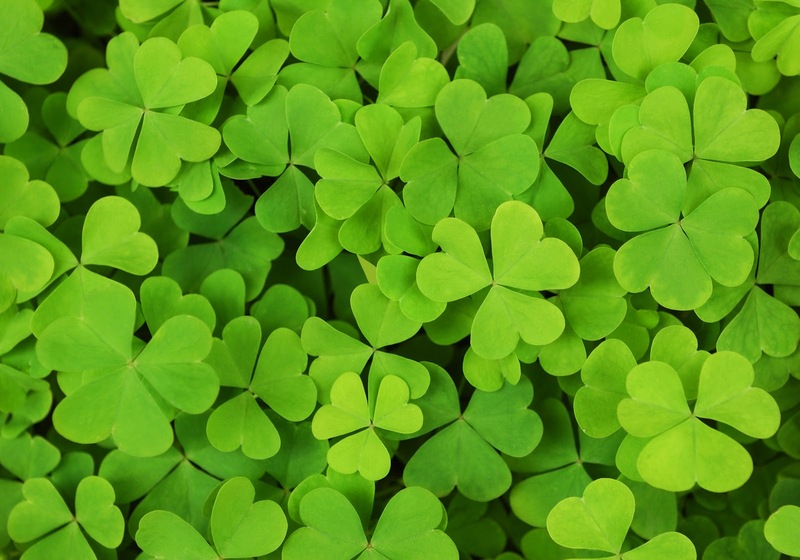 Happy St. Patrick's Day to all who celebrate it. The princess from Friday is still with us! Kate looks stunning. Look at the other women in the pictures - no one is wearing green, including the Queen Mother. I think Kate dressed in honor of the wolfhound. Anyway, I love the brown, the Catherine Walker coat is exquisitely designed and tailored, her hair is up and dignified, and the Betty Boop hat always makes Kate look so special. She looks very happy to be with the Irish regiment, as does William, and Kate's face is taking on a new maturity that immensely befits her role in life. I thought she looked just amazing today! I liked that she didn't wear green. It made the shamrocks stand out even more. Not sure why people are taking issue with the head to toe brown, since it seems to be a preference of the duchess to keep things simple but elegant. She looks just stunning in brown. Just a beautiful look. The coat is perfectly tailored. Everything about the look is great. I will add that I don't see a problem with the fact that she didn't wear green this year. She has worn green the three years prior, and I'm sure at some punt she will wear green for the occasion again. The coat pleats are gorgeous. Love the style of the coat, the fit is perfect, love her hair and hat, love seeing them together, Love St.Patrick's Day!, cheers to the Irish!!! and yes I do believe in Brownies and Leprechauns. Charlotte, are Leprechaun a little more obnoxious than Brownies?! I was so glad she didn't wear green again! The shamrock stands out much better against a dark, contrasting colour. Lovely. The coat is beautifully made and the fit excellent. She looks beautiful as always. On a side note received the Mirabelle earrings I won yesterday and they are just beautiful thank you again so much, it really brightened my day and it's so exciting to wear them knowing the DOC wears them too. Kate looks lovely today. At first, I thought the look a bit drab, but as I looked at all the pics I changed my mind. I have always loved the Betty Boop hat, and with her hair up she looks regal. I love the collar of the coat; its such a strong shape and looks sharper than other coats she has worn. The shamrock corsage pops against the brown, thus giving us the "pop" so many desire. All in all, she looks like, and carries herself like, a princess. Happy St. Patrick's day everyone! Happy St Patrick's Day All! William and Kate both look elegant, and relaxed today. I thought her outfit was lovely. They are such a beautiful couple, and are a pride to their country. Thanks for your always outstanding work, Charlotte. I was surprised to see an all brown ensemble today, but am not disappointed in the choice. The brown coat really compliments the gold brooch and the shamrocks and looked nice with the lighter brown uniforms of the soldiers. I had hoped to get to see the mint Mulberry coat Kate wore to the Scouts Parade when she was pregnant with George - maybe tomorrow? I had just assumed that Kate would always wear green. Now that I know there is not color dress code I am even more excited to see her future choices. I love the red of the uniforms - maybe a coat that complimented that - so many possibilities. This is one of my favorite engagements of the year for the Duchess. It's nice to think of her following in the Queen Mother's footsteps and committing to it for decades to come. My only complaint about the look is the clash between the shades of brown of the hat and the coat. One color looks are fine (and definitely here to stay with the women of the Royal Family), but coordinating different shades of the same color is not easy. In this case, I would have preferred a contrasting hat - cream maybe - or better coordination between the hat and coat. The Duchess definitely looked dignified and regal today. Cannot say I like this coat very much primarily because of the drab colour (brown, dark green, faded black ???). That said, I do think the neckline is very flattering and I love both the hat and hair. I also like the fact she looks really happy. This visit with the Irish Guards every year seems to be a favorite of hers. Thank you-as always-for your wonderful post! Happy St. Patrick's Day to all and much love to beautiful Ireland! She's rocking the Betty Boop hat!!! !-my very favourite of Kate's hats. She looks great in it. I was so hoping she would wear it today. I think this look is very elegant and regal, much like the navy church service ensemble. Kate can make the colour brown work. The coat is lovely. My only comment would be about the very "bare" and open neckline. It looks like it would feel very cold to me but then I'm Canadian. It's a bright but blustery St. Pat's here with a very cold wind. Maybe I just feel like she needs some coverage there because I'm used to the weather here. Maybe the scarf from Xmas Day should have made an appearance again? I wish she had worn her green amethyst earrings but maybe either 'all green" or "no green" was her approach. Anyways-loved it as a look. Sad to see the appearances taper off but excited about the new arrival. Has anyone else seen Cressida Bonas's video ad for Mulberry? Just Google it. She dances around a big country manor in a spring dress. Near the end of the ad, she is floating down a big staircase. She passes by a tall young man with short red hair.They have meaningful eye contact before she moves on. It's clearly a reference to Prince Harry. I thought it was really tacky of her and Mulberry to capitalize on their prior relationship. Maybe it's best that Harry has moved on !! Yes I saw that too!! The man she passes on the stairs I believe is an actor in the UK, but I can't remember his name. I do believe they deliberately picked a red headed guy though. I never liked Harry dating Cressida is was obvious she was dating him to further her career, case in point her being a model for Mulberry now. Ok so looked up his name and it's Freddie Fox he's an actor and apparently rumored to be her boyfriend. Regardless of whether brown is a suitable colour or not for the day, this colour looks looks fab on her. Her skin glows. The first thing you notice is her face; that means she's wearing the right colour. The pink ensemble from the Commonwealth ceremony was a great cut, but did her colouring no justice. Brown may not be the best colour for stand-out pictures, but it looks great on her. The style and cut of the coat is also top-notch. So simply elegant. I loved her look and agree with someone who said the Catherine of Friday is still with us! She looked very elegant. I thought the brown worked well and a nice backdrop for the green shamrocks. I like the cut of the jacket - very smart - and I've always loved those pumps - but that hat just doesn't match at all. There are too many shades of brown going on. Another home run to me. The coat is beautiful on her, exquisite tailoring, fit is perfect and in some pictures she doesn't even look pregnant, let alone 8 months! Love the hat, one of my favs that she has. Hair is great and accessories are perfect for the look. The Duchess is absolutely glowing. While i am not looking forward to not seeing her in public for her maternity leave, i hope she is hanging up the heels after this. Her baby is due soon, and i hope she gets the rest she is going to need. She has been attending lots of public events lately, and at eight months pregnant, she is due a rest. I know with my babies i was so uncomfortable at this point. She has looked beautiful and happy..time to nest! I believe she was feeling uncomfortable. While talking to another mother she told her that she needed to stop bending down and have a sit down. Kate looks smashing today; one of her best pregnancy looks to date! Mostly because this coat FITS perfectly. It is tailored perfectly to hang over the baby bump. The hem falls STRAIGHT all around. The monochromatic chocolate brown color looks very rich. The hat is cute and subdued. Her hair is not in the way. And most of all, her smile and obvious happy demeanor are shining bright today. Kate looks very beautiful, and I don't really care if she wears green or not, but I do find this outfit to be a bit...drab. Not because it's not green, but just because it's all so dark. A little bit of color would have been nice. But she looks lovely. I also am struggling to identify the color of the coat. In some of the pictures, it doesn't seem at all brown just because it looks so different from her hat or shoes. I think if it had been the same rich brown that her hat and shoes are, I would have liked the outfit more. The coat itself is just such a muted, barely brown, that I don't like the color, if that makes sense. I'm Irish as Paddy's pigs but I love the brown coat and it shows off the shamrocks wonderfully. Domhail is so adorable. It might just be her best look yet on the day, she looks happy, relaxed and very beautiful. I love the vintage look to this ensemble -- especially with her hair up! Like others have said, the shamrocks pop against the color of the coat. Very fitting for the day. I am probably going to be harpooned for this but...I have come to realize Kate doesn't really know how to style an outfit. Yes, she buys pretty clothes, which is not hard. She knows what looks good on her and frankly she has a nice figure so anything does. However, this past week just made it apparent she doesn't really know how to make it an actual outfit beyond that. The all pink outfit on Monday, the all navy outfit on Friday and the all brown outfit today. She doesn't really know how to make an outfit special, give it some style. The brown shoes, brown dress, brown coat, brown gloves, brown hat, brown clutch combined with her brown hair is too much. She still looks pretty because she is a pretty woman, with a nice figure and a stunning smile. But no stylish woman I know would ever dress like that. They know how to style an outfit and accessorize. Not everyone is good a this naturally, which I think Kate falls into that category. That is why I think a stylist would help her so much. It would help her take her nice dresses and put some final touches on them. Really polish her look. Queen Letizia is a great example now of how to finish an outfit. Although she was not always like that. I think Kate is the same way. I am sure I will get attacked for saying that. I am not saying it is a negative thing, but just an observation. Some women need help on putting together an outfit. Not everyone is born with fashion sense beyond picking out lovely dresses. It is just something that is becoming more apparent with her. And I do believe she cares about fashion and looking nice. Well, there is a simple elegance about it that not everyone appreciates. I think it's lovely. As I said in another post, monochromatic is a choice, not an oversight. No harpooning :) I have looked at the outfit and not sure how I would have accessorized this outfit any differently. Another pin on the coat would have been too much for me as well as a scarf with that beautiful neckline. She perhaps could have worn bigger earrings and gone with black shoes, hat and clutch but probably would have looked very similar to the ones she wore. I would not do a contrasting , i.e. someone suggested cream hat or shoes. Her hair was an accessory as it was so incredibly designed. I really would love to hear your thoughts as I tend to go for less. Hi Anon @ 1:27, thanks for not harpooning. You know brown is a hard color to work with. So first off I would not have gone with a dark brown coat :). I would have picked a different color and gone from there. However, since that is what she choose I will work with that. I definitely would not have added a scarf. That would have taken away from the broach and shamrock sprig. I think the neckline is nice on the coat, so I would leave that alone. Looking at how she dressed, I would have changed her shoes/hat/gloves. I actually think a cream or tan would have looked very nice with the coat and clutch. Even a dark green would have complimented the brown coat and kept with the St. Patrick's day theme. She could have kept it simple and chosen a green heel/hat/clutch. Although to go a totally different way, she could have picked red shoes/clutch/hat, since brown and red look nice together. Having said that though, I would not have chosen that combo for St. Patties day. agree Royalfan...The fashion industry has pounded "pop of color" for years into the fashion narrative. I think the thing i have loved the most about Kate's latest looks are the monochromatic theme. Her face and stature just shine. I am Anon @ 1:27, forgot to sign, Ali. Thanks for taking the time to reply you have some excellent ideas. Has given me some things to consider. When I saw the pictures on twitter this morning there was a lot of shock that she wasn't wearing green. Personally I'm just not a fan of this look. I can give or take it. Nothing wrong with the whole ensemble, I just don't like it. I wish she had of opted for a beautiful green maternity coat, or made that one green. But there's no rule that says you have to wear green on St.Patricks day. I'm wearing black today! Love this coat, the colour and style - classy and flattering. Much better outfit than last weeks. Wish she had worn something simple around fer neck to top it off. Very dull today! She does have a glow, but I do wish she would dress a bit more fun. She can sometimes be too matronly with her choices. She is still young and should dress fun yet still keep it classy. She is a royal wife married to the second in line. So she has to be careful how she dresses. And "being" fun does not count. I love this whole outfit from head to toe and william looks so damn handsome too! The coat is brown according to the blurb Catherine Walker released. I don't think it looks right with the hat color - the coat leans too much on a gray side of brown but the color photos could be 'off' and not reading right possibly. Kate seems to love the look of her outfit, because she looks very relaxed and confident in it. I think it also flatters her body at this time of her pregnancy. I love the overall look, much better than the navy ensemble from the other day. It's a very warm brown and the shamrocks show up beautifully against the coat. Great choice. Wow, she looks gorgeous! I love, love, love the coat! It's very flattering and screams elegance.....and I can see from my seamstresses eye that it is one of the nicest-made coats she has! Wonderful!!! She looks very regal and gorgeous as usual. I just wish she wasn't always so matchy-matchy. Throw some colour and print in the mix! But the brown doesn't bother me for St. Patricks day. I think it goes well with the green shamrock. The Duchess looked great. 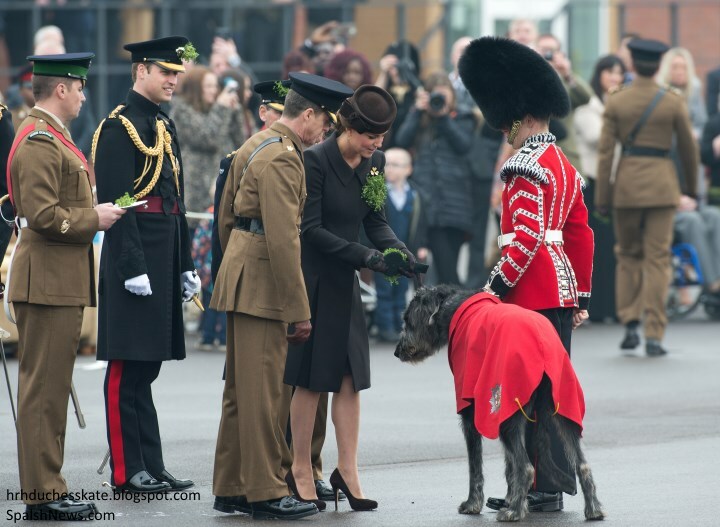 She was chic, elegant and paid homage to the regiment in the most regal way she could and 8 months pregnant! That is a feat, not very easy to pull off but she has done it and beaming while doing it too. They, the Duke and Duchess looked completely relaxed, him smiling, and she with that pregnancy glow! Charlotte, you are the best! Thank you for another wonderful post! I love this ensemble. Our Duchess rocked today, she is positively glowing. I am so please that she chose another color than green. Three years in a row green. I think she is becoming more confident in her choices. As the picture of the Queen Mother showed she did not always wear green, Thanks a lot Charlotte for all your hard work it is greatly appreciated. Mary from Adelaide .... I know this is a brown ensemble today ... and I hate brown ... but seriously, the Duchess just looks amazing! I'm so glad she didn't repeat a green outfit, it was time for something new and she just looks gorgeous in this brown coat - in some of these photos, she hardly looks like she's expecting which means it's a super great fit! 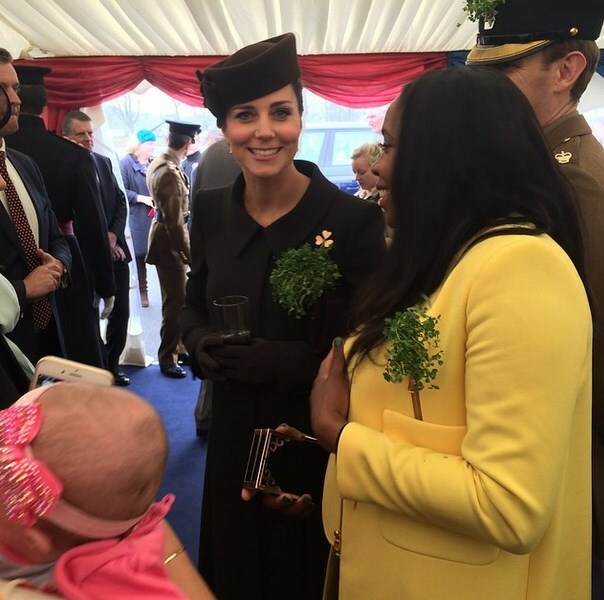 And I agree that the shamrock brightens the outfit up a lot as does the up-do which always makes Kate look so regal. So another win this week, in my opinion! She looks lovely and elegant .. It's nice to see some extra weight in her face , gives her a nice glow . Kate looks lovely. But all that brown is way too much. I think the coat would look nice by itself without the hat; it's very flattering on her. But no matter how great she looks, she's not wearing green, and it was St Patrick's Day. I'm sorry but that's a major faux pas. If the coat is bespoke why not have it made in green? Even a deeper green would look fine. I really like this look on Catherine. The coat is beautiful and it’s a great fit at 8 months pregnant. Personally, I’m not a huge fan of brown and green is my favourite colour in general, so I would have styled it with a green hat or earrings at least. However, if she continues doing this engagement for 30+ years, always having her in green would become incredibly boring and we’d probably see a lot of repeated coats, so it’s good she’s mixing it up a bit. So, far my prediction on clothes has been correct, 2 new and 2 repeats last week, new for today and I expect a repeat for tomorrow. HRH's coat fit (! ), her hemline appropriate (! ), her hair was beautifully done (! ), apologies to those who abhor "matchup-matchup, but that is what ladies wear, she looked fabulous as always but actually, genuinely, as a "real" princess today for me. The previous occasion was at this same event in 2013, when she and HRH The Duketogether elegantly prevented her falling. Perhaps she should do this engagement every occasion? Honestly, 10 of 10, finally, she looks like a future queen. Thank you for the many beautiful pictures and history lesson, Charlotte. Kate wore green three years in a row so it seems fine to me that she would vary it a bit. Even though she has quite wonderful green eyes, not every green looks good on her - I'm thinking of those Australian and N.Z. coats, Erdam an Catherine Walker - the latter was a very bad green on her. Kate looks best in those dark greens she has worn to previous St. Patrick ceremonies and that does get old year after year. The brown looked very well with the soldiers' uniforms - made for very good photos. But best of all it fit perfectly and was at once slimming and yet didn't pull at all. I loved the navy coat the other day but there were technical issues - it pulled and puckered in places and it didn't look as good from the side as it did from the front - it could be made quite lovely as a non-maternity coat but wasn't quite right for late pregnancy. But this coat, as Barbara from the US pointed out had an even hem and was just right - what one would expect from Catherine Walker. The queen mum was the queen mum but I do think it's nice to have clothes that fit in the photos. Kate looked quietly elegant today and I like her new chignon - it's isn't coming down like that one two years ago. She seemed relaxed and happy - all in all a great engagement. I happen to love Kate's ensemble, and she surprised everyone by not wearing the predictable green, except for the shamrocks. It's a very rich brown color of which I heartily approve and would wear myself if I could afford it. (hee hee). Her hair was appropriate and flattering and I must say William looked very handsome and dapper. Just one question? How on earth does Kate wear those shoes? I think the heels must be the highest I've seen her wear. It must feel so good when she is back home and can kick off those shoes! I hope William gave her a foot massage. I've been following your blog for several years now but this is my first time to comment. Thank you for all of your hardwork to keep us up to date about Kate's activities, the history and details of her visits, and clothes! I love the Duchess in brown and today was no different. She looks fantastic! I enjoyed watching Kate and William interact in the video. I love all her looks this march. It seems she found her mojo again. Good look on Kate today. I don't mind the brown and actually, it complements the vivid green of the shamrocks. Today is the first day in a long, long time the look has been perfect from top to toe and that both Kate and William have looked like they are both happy and having fun being at a royal engagement. We're used to seeing the forced smiles and pensive looks from Kate, not to mention her looking very, very tired and/or ill, and a perpetual scowl from William so it's nice to see them both smiling here. I love Domnhall. Irish Wolfhounds are amazing dogs, the gentlest of the large breeds. Given England's and the royal family's long-held dislike and disdain for Ireland and her people, I'd love to be a fly on the wall before and after this event with William and Kate and find out how they REALLY feel about the Irish and the Irish Guards and the whole St. Patrick's Day bit!! I can't say enough how much I love this look! Kate's St. Patrick's outfits have become some of my favorites. I have liked every single one for the past 4 years. I love this year's look the best and I didn't think she could top the first year! I absolutely L O V E the candid picture of her smiling and looking straight into the camera (probably a phone) at the reception: just darling! I wish she would have stuck to green - even it means her repeating the same coat every year. I suspect that hem has the proper weights sewn into it. Catherine Walker has good experience of Princess dressing. I hope Kate turns to Walker more often. The design and execution of this coat are superb. I agree. I love Catherine Walker designs and prefer them to McQueen, although Kate has worn some lovely pieces.